A few more Dai's Driving Academy Photos! 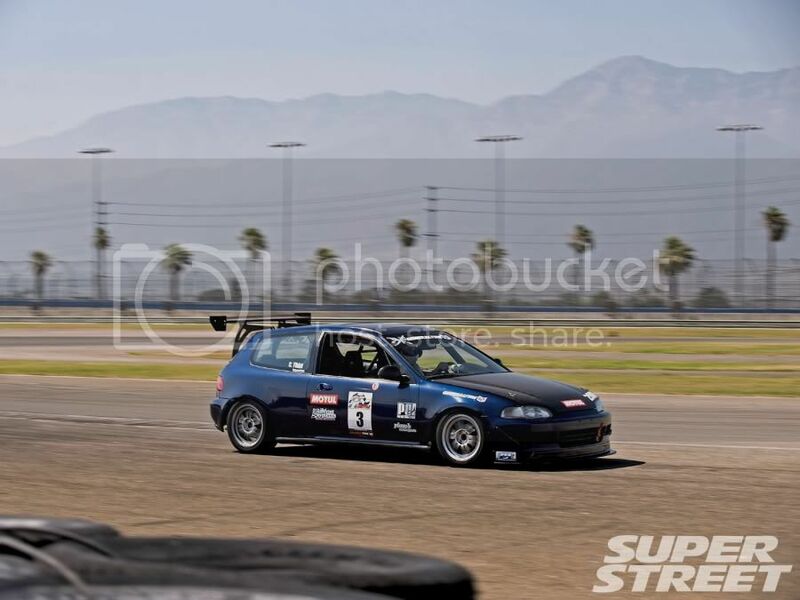 Few more photos Courtesy of WiredonHonda. Until next time.... SPRING MOUNTAIN! Picture courtesy of JDM Option. 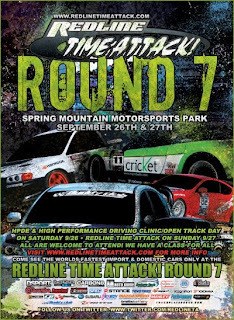 Round 7 of the Redline Time Attack is coming around the corner earlier then I thought! 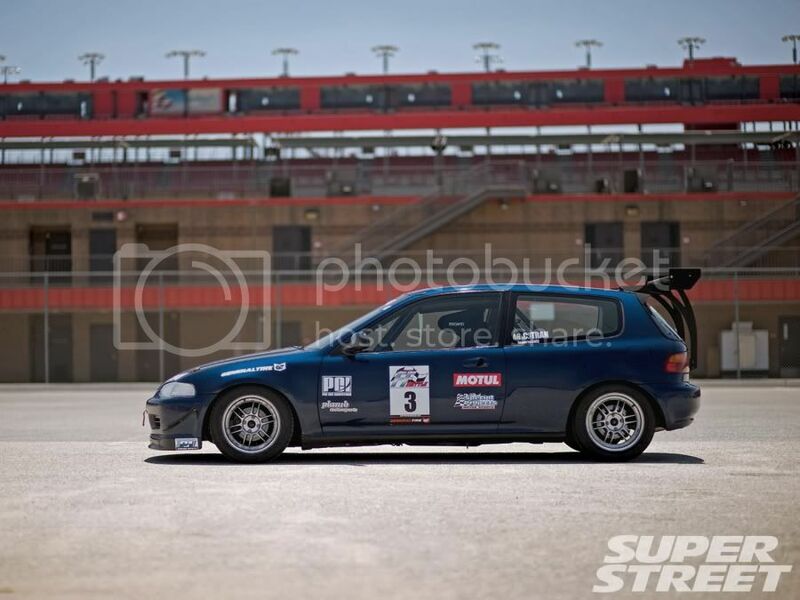 With some recent symptoms of a 5th gear grind from the Super Street FF Battle, my GSR transmission will be swapped out for a shorter geared B16 transmission within the next week or two. In addition, an oil cooler will be installed to help with the high B-Series oil temps that should be showing up with the 105 Degree + temps @ Spring Mountain. 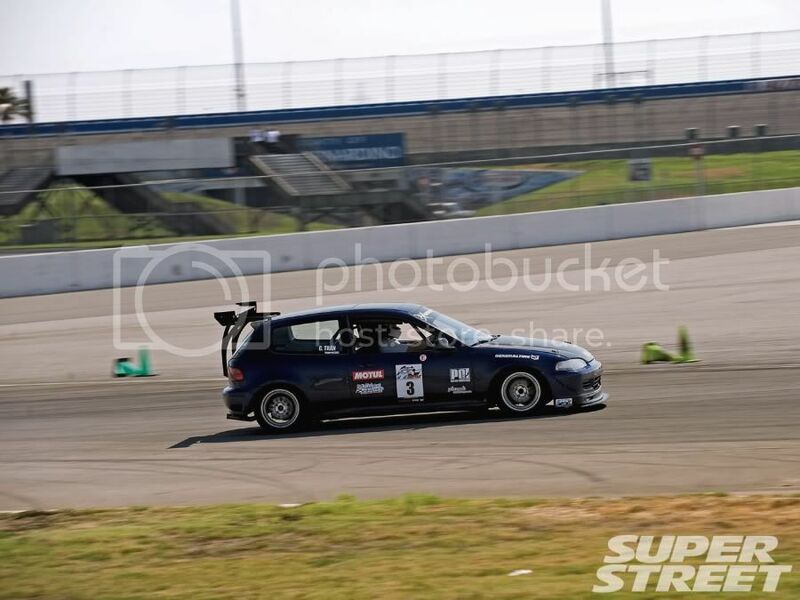 I was fortunate enough to be invited by Super Street to run their very first FF Battle at Autoclub this past weekend. 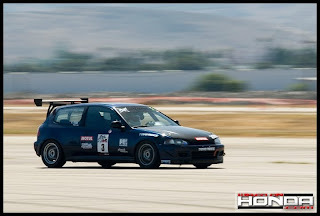 Friday's event was a Time Attack & Saturday was the Dyno Day + Magazine shoot. Even though it was a bit toasty, I got to meet a lot of great people! More pics/results to come soon! Thanks Reza for the pics. 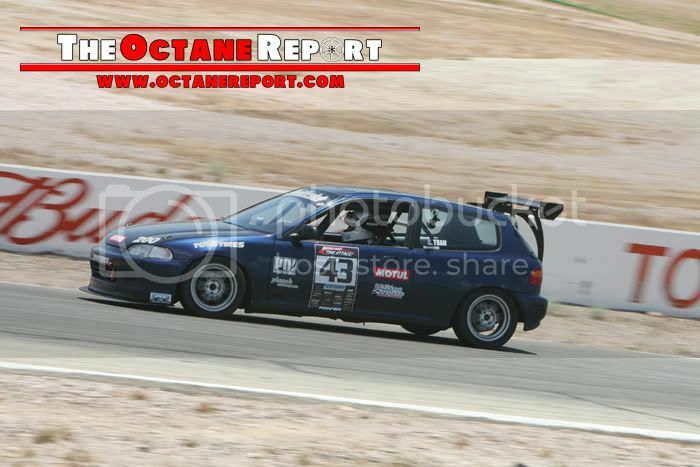 This weekend was my first time running Willow Springs Raceway. With the high speed corners, the track did seem very intimidating when I came out to support my fellow TrackHQ friends run on Saturday. The competition did seem very stiff with 11 other competitors in Street FWD class. 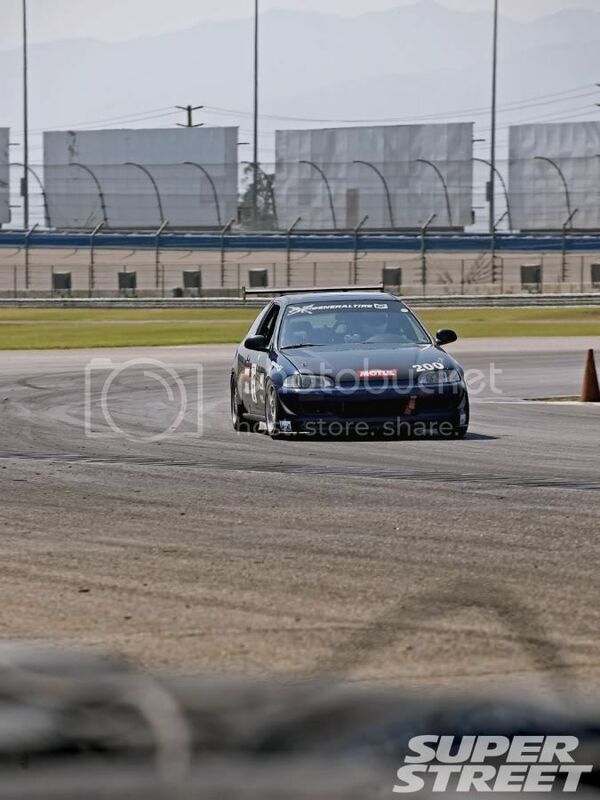 Finishing Round 1 of Redline Time Attack, my car felt really balanced and I was very happy with the end result. The only problem I had ran into was a squishy brake pedal through out the whole event. After inspecting all possibly causes and doing 3 brake flushes, I could not find the gremlins! 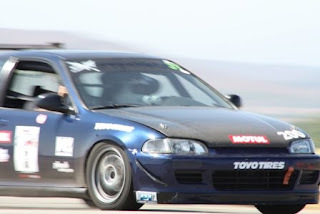 Even though coming in w/ 5th Place SFWD at Buttonwillow, I managed to jump 6 seconds from my previous best laptime; pulling at 2:09xx at the end of the day. After being really happy with the cars power and suspension, I opted to not to change anything on the car for Round 2 besides diagnosing the brake problem. 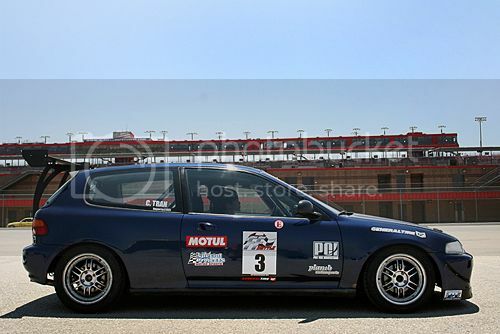 I did my normal fluid changes and brake flushes courtesy of my sponsor MOTUL Lubricants before the event. With the struggle of trying to fix my squishy pedal feel, I bought a new brake master to see if it would help. No improvments were made after the change and all othe brake components seemed to be fine. I asked around to try to find a solution but everything came out negative. I went out for my first practice session and pulled a 1:44xx. 2nd practice I managed to drop 4 seconds, down to a 1:41xx. I got a feel of the track better but was definitely struggling on my line on Turn 4. With little track time, I definitely needed to test out different lines for Turn 4. Time Attack #1 came around at noon and track temps sky rocketed above 85-90 degrees. I went out and pulled a 1:42xx for lap 1 and 1:43xx for lap 2 taking Turn 4 in 2nd gear since 3rd felt a bit boggy which I previously took practice in. Coming around for my final time attack lap into Turn 5, I slam on my brakes hard hear a pop! With the pop, I had felt the brakes give slightly more then they did before... Wondering what that was, I came through turn 9 then back down the straight, I decided to test out the pedal pressure before coming back into Turn 1. While still on the gas, I pumped the pedal and had zero pressure!!! The pedal went straight to the floor! I immediately let go of the gas and down shifted to engine brake for Turn 1. Managing to slow down, I immediately pulled off line and drove back into the pit. I got out and and looked at the car and jacked it up. I took off the wheel and in disbelief, the driverside stainless steel brake had broke and fluid was all over the ground!!! About a 1/4 in slit on the line straight through the plastic and braids. I ran around to every Honda driver out there hoping for an extra front brake line w/out any luck. I even ran down to Autozone but they did not carry the part. I came back to a fellow Street Stock FWD driver Eric Emerson which had a stock rear ITR brake line. My good friend Henry and I decided, why not? lets give it a go and see if it works. We pulled off the broken line and fitted the rear line, surprisingly it worked! We put fluid in the car and did a brake flush but no brake pressure was gained. A few hours passed and the 2nd Time Attack session was missed. I ended up finishing the day with 2 practice sessions and 1 time attack session. We packed up and left the track to the gas station. Still in disbelief and confusion, I did not know how I was going ot get home. I saw a Jeff Tyler, driver of Berk Technology 135i and asked if he knew someone with a open trailor that could tow the car home. With a few phone calls, Jeff got a hold of a fellow TrackHQ member, AJ. AJ had already left the track and was about 30mins down the road but was nice enough to pull over and wait for us. AJ owns a very nicely built Lotus Exige and was such a great guy to offer to pull off his Exige and put my car onto the trailor. We swapped places and AJ ended up trailoring the car home and I drove the Exige back. 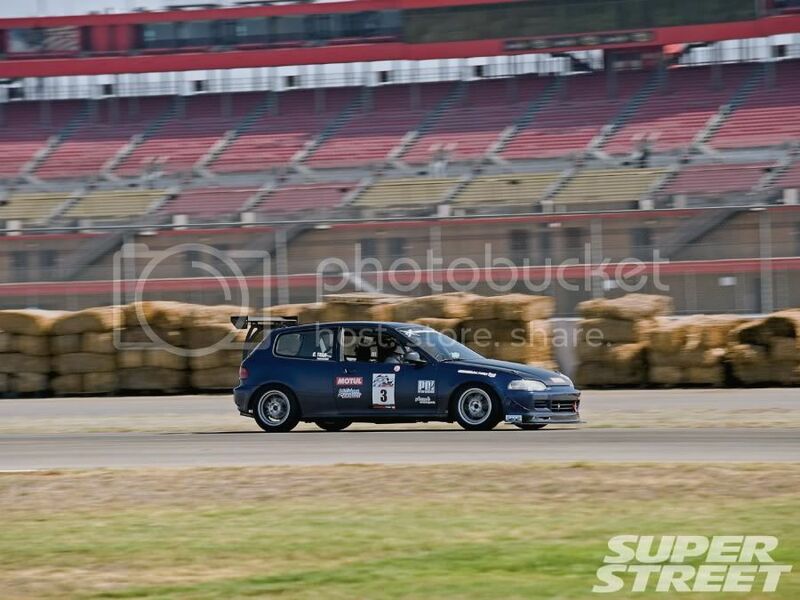 This was definitely a tough and probably the worst weekend iv had with the Civic. Even with the dissapointing brake failure, I was still very happy I came home in 1 piece that I was able to pull a 1:41xx on my first time out. Now its time for a whole new brake renovation! New stainless lines on all 4 corners as well as new rebuilt front calipers and race pads for Round 3 at Spring Mountain, LasVegas Nevada! I would personally like to thank Aj from TrackHQ for being an totally awesome guy and allowing me to pull his fully race prepped Exige off the trailor to pull my Civic home, Jeff Tyler for making every phone call he could to find any possibly way of getting me home, Henry for helping me look for parts, Eric Emerson for the rear brake line, and John Lideman for the banjo bolt. p/s: CHANGE YOUR LINES EVERY YEAR!! !